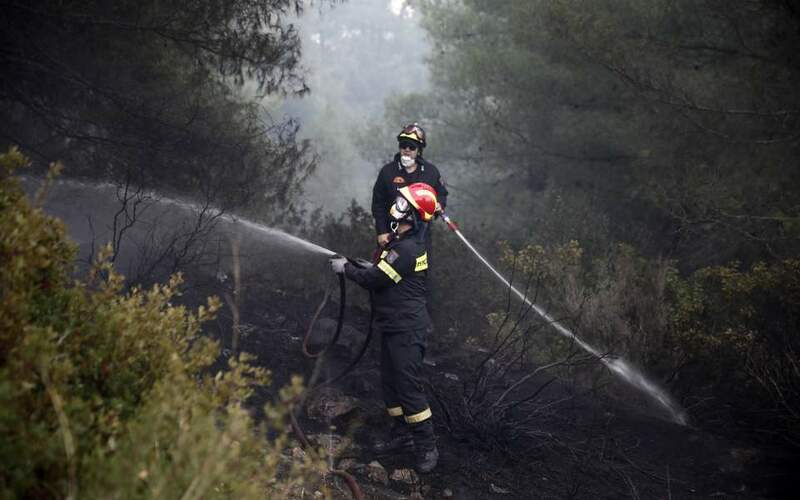 A large wildfire that burned swathes of pine trees in Sithonia, a peninsula in the northern Greek region of Halkidiki, was brought under control on Saturday, the fire service said. The blaze started early on Thursday morning, apparently ignited by a tree falling on an electricity pylon, and spread quickly due to strong winds. Authorities had declared a state of emergency in the village of Sarti which was partly evacuated by some residents as a precaution. Although there were no active fronts, a firefighting force of 142 firemen with 65 vehicles remained in the area to prevent flare-ups.